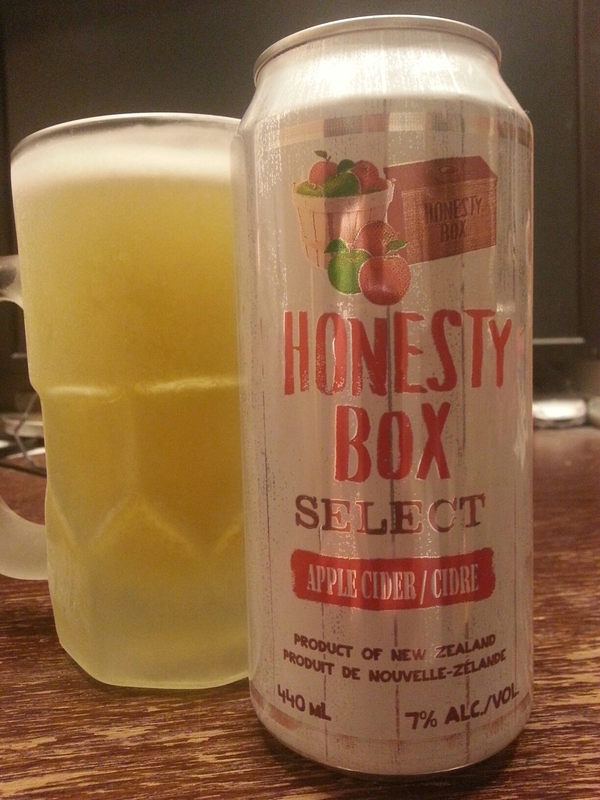 Honesty Box Select Apple Cider – Independent Liquor (New Zealand) | Justintoxicated. “From a farm where you can purchase fruit from an unattended stand at the end of a laneway, by simply putting your money into an honesty box, we bring you this crisp and refreshing cider. Visual: Aluminum can, odd size. Pours straw yellow with a smallish dissipating head, a very thin layer of micro retention, several slow steady large CO2 streams. Finish: mild alcohol bitternesss, cloying sugars, micro bubbly apple exhale. Summary: Almost guaranteed to give those who are prone to it like me, heartburn. Lots of acidity as well as added sugar in this, best with a meal or snack. Too sweet-cloying with just a basic apple/apple cider vinegar flavour, decent bubbly mouthfeel.